A couple of recently staged complementary exhibits in the West Feliciana Historical Society Museum pay tribute to the early black experience—and endurance—in the area. Conceived by society president Susie Tully and created by museum curator Cliff Deal, the exhibits may be viewed free of charge daily 9 a.m. to 5 p.m. at the museum on Ferdinand Street in St. Francisville. Accompanied only by guitar and moaning harmonica, the important thing about the blues was the song, for it was the song that told the story, and that story was a sad one, deeply rooted in American history and particularly in African American history. 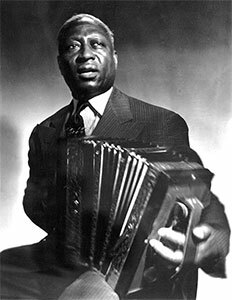 One early blues icon with local ties was Leadbelly, whose given name was Huddie Ledbetter. Born in 1888, he spent his teen years playing music in St. Paul’s Bottoms, notorious Shreveport red-light district. His songs speak to the hard life of saloons and brothels, and he was no stranger to violence, either, serving several sentences in Texas and Louisiana prisons in the 1930’s. It was at the Louisiana State Prison at Angola that he was discovered by folklorists John and Alan Lomax, propelling him to fame in New York and recordings of songs like his well-known Good Night, Irene. 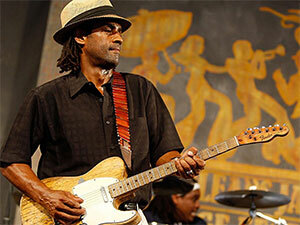 Present-day blues artist Kenny Neal, son of harmonica player Raful Neal in whose band he began playing at age 13, has won worldwide recognition preserving the blues of his native Louisiana. He recently sponsored a Highway 61 Blues Festival at the West Feliciana Parish Sports Park that drew hundreds of appreciative music fans and provided a reminder of the origin of the blues. Local blues legend Scott Dunbar was the son of an ex-slave, born on Deer Park Plantation near Woodville and a fishing guide on Lake Mary all his life. He made his first guitar from a cigar box, broomstick and wire, and lived in a rustic cabin that he tied to a tree to keep it from floating away every spring as the Mississippi River overflowed into the lake. 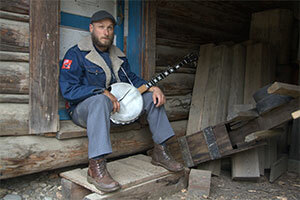 Simple and basic, repetitive and soulful, Scott’s downhome blues provided the background for generations of celebrations and lawn parties in the Miss-Lou area. Like many 19th- and early 20th-century black children, Scott Dunbar had little formal education. Born in 1904, he never went to school; others did, but only until 3rd grade or so. Then they were put to work in the agricultural fields, where they were certainly exposed to the rhythmic field hollers and work chants that provided the basis for the blues music, combined with the spirituals sung in the churches that were the centers of African American life back then and still often are. For 30 years John S. Dawson taught at Laurel Hill School, then served as principal at Raspberry Baptist Church School and as Senior Deacon and Superintendent of the Sunday School in the church. But his dream was a real school in a real school building, a brand new high school for African Americans. He secured land donated by members of the Barrow-Richardson-Noland families on LA Highway 66 along Bayou Sara, and the high school opened in 1951; an elementary wing was added in 1962, and soon there was a gym, band building, room for home education/industrial arts, and an agricultural shop. John S. Dawson died in 1950, a year before the school that would be named for him would open, but the legacy of learning continued with two of his sons serving as principal, John M. Dawson from 1951 to 1961, and Thomas Dawson from 1961 to 1969. That was the year the school was closed after a Supreme Court decision mandated school desegregation; all West Feliciana Parish students now go to a single campus recognized as one of the best school systems in the state. Dawson School was abandoned for years, then functioned as a Council on Aging meal site for some time before it fell into disrepair. Now it is being cleaned up and has been placed on the National Register of Historic Places by the John S. Dawson Alumni Association and Foundation, led by former students including one of John S. Dawson’s grandsons, Ken Dawson. 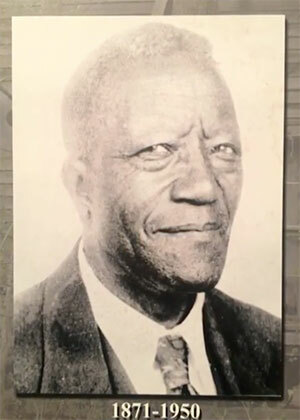 The hope is to develop the property as a community center and park, a legacy and commemoration of one man, John Sterling Dawson, whose efforts and dedication enhanced and changed so many lives.